I've written quite a few posts about The Original Elvis Tribute, a production which features five of Elvis' original musicians. There are two reasons for this. The first one is that I will be attending the opening show in Sweden, at Vara Konserthus (Vara Concert Hall) on April 7. The second reason is that Arjan Deelen, who produces and manages the show, sends me copies of the e-mails he uses to promote the show, and they are often full of interesting information. This year marks the 35th anniversary of the death of Elvis Presley at the age of only 42 years. He died alone in his bathroom due to poly-pharmacy, a lethal combination of various sedatives that were prescribed by his physician Dr. George Nichopoulos. Elvis’ keyboard player Bobby Wood (71), who played with Elvis on hits like ‘Suspicious Minds’ and ‘In The Ghetto’, still remembers that day well: “We were doing an album on R&B artist Joe Tex in Nashville when Elvis died, and Joe cancelled the sessions crying. He cried when he heard the news. He didn’t want to work anymore. We were all distraught… It was like somebody hit you in the stomach”. Wood takes a dim view of the people that Elvis surrounded himself with, especially manager Colonel Tom Parker. “It was all so unnecessary. That was the worst of it all. He was so controlled by Tom Parker. Even though Parker helped him, especially in the early days, he also held him back as much as he helped him. The main thing about Elvis is… Elvis was a great artist that was mistreated by greed… Parker only cared about the money, at the expense of everything else”. 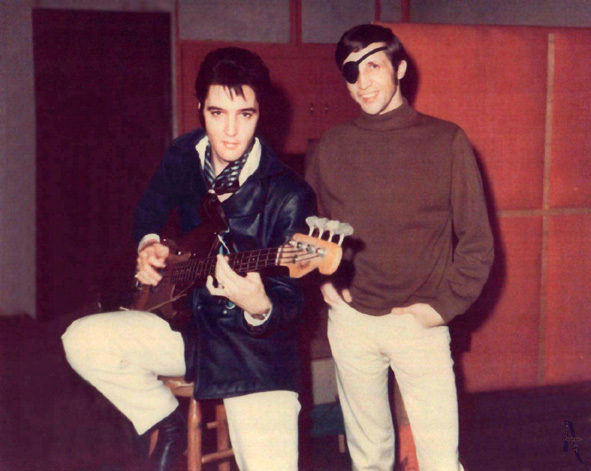 When asked about his favorite memories of Elvis, Wood answers: “Some of those times when we were kidding, just joking around in the studio. That was special for me. You know, this guy had the biggest heart in the world. I remember… I noticed a ring he was wearing when I was in the control room, and complimented him on it, saying that it was a real cool looking ring. He pulled it off and handed it to me. I was looking at it, and of course it was 14 sizes too big for me, you know. I handed it back to him and he said, ‘No, it’s yours’, and I said, ‘No, take it. Are you kidding, man? You’d have to cut half of it off to make it fit my hand!’. But there’s a lot of people that would have taken it, I’m sure. I just didn’t want to be one of those. I just thought too much of him to do that, you know. I really appreciated the gesture, and I know that that’s the way it was with Elvis”. It will be nice to see Bobby Wood behind the keyboard again (last time was in Memphis during Elvis Week in 2005). According to Arjan Deelen there is only a few tickets left for the show in Vara, so it looks like it's going to be a full crowd. To quote a certain fellow fan from 1977: "I'm so excited, I just, oh, I can't wait!"